CENTENNIAL WEEK, 1909 On July 5, 1909, a petition to incorporate St. Louis as a town was drawn up, and two days later it received 80 signatures out of a possible 101 of the "taxable inhabitants." Elections were held, a municipal government was established, and the incorporation was formally enacted on November 9, 1909. The 100th anniversary of this event was celebrated from October 3 to October 9, 1909 -- Centennial Week. The St. Louis Centennial Association, of which Mayor Frederick H. Kreismann was president and Walter B Stevens secretary, directed the program for the entire week. The officials planned parades, luncheons, banquets, balls, concerts, receptions, naval demonstrations, and aerial activities. This last item was to be the hightlight of the week. 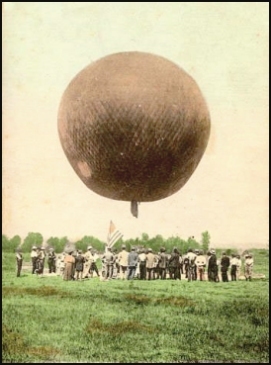 St. Louis would witness balloon races, dirigible maneuvers, and for the first time in its history, sustained airplane flight. On October 11, A. Holland Forbes, acting president of the Aero Club of America, and Max C. Fleischmann arrived in the city for the purpose of making a trial flight for the Lahm Cup in the New York, which Forbes owned jointly with Clifford B. Harmon. Although a number of the balloonists had had trouble with the entrance and notification requirements during the previous week, Forbes, the acting Aero Club president, was worry free: "All I have to do to register for the Lahm Cup is to hand myself a dollar." The New York left the Rutger Street gas plant at 5:35 p.m. October 12, 1909 and succeeded in its venture. A. Holland Forbes broke Charles Chandler's standing record of 473.56 miles, established in a flight from St. Louis in 1907, and he also eliminated the claims of H.E. Honeywell, S. Louis Von Phul, and H.H. McGill. The New York traveled 697.17 miles to twenty miles south of Richmond, Virginia, in 19 hours and 15 minutes to win the Lahm Cup. Major Max C. Fleischman was commander of the school in Cuperly, France. You may use your "Find" tool on "Max"
Plan to spend some time on this wonderful site. From the Secretary of the Early Birds there comes to Chirp a series of thumbnail sketches of some of the new members, taken into the organization since the last issue of this infamous sheet. Max Fleischman, big game hunter, flier and balloonist, has ordered a Lockheed "Electra" for immediate delivery. He holds Aero Club seaplane certificate No. 46 of April 12, 1916, and free balloon certificate No. 67. He lives in Santa Barbara, Calif.
from CHIRP, SATURDAY, AUGUST 17, 1935, DETROIT MICH.
via email from John Steiner, 11-28-06 Julius Fleischmann was the mayor of Cincinnati. Max, his younger brother was the ballonist. Bettie, Julius and Max Fleischmann were the children of Charles and Henrietta Fleischmann who lived most of their lives in Cincinnati.. Charles was from Austria/Hungary. Bettie married Christian Holmes. Julius died after a polo match in Florida, and Max lived on the West Coast. I'm looking for information about Col Theodore Lyster, who was the Chief Surgeon of the Aviation Section of the Signal Corps. He set up the first physical requirements for pilots. He set up the Aviation Research Board, and the first head of that section was Dr. William H. Wilmer, who later became head of the Wilmer Institute at Johns Hopkins. Wilmer set up shop for a while at Hempstead Field, which I believe became Hazelhurst Field in Mineola Long Island, where he and others began to develop research on the physiology of pilots. Lyster was the nephew of William Gorgas. When Gorgas was a line medical officer, having survived yellow fever, Lyster, then a child, developed the disease. Lyster's mother attributed what ever Gorgas did as being responsible for her son's survival. She introduced Gorgas to her sister, and soon they were married. In Cincinnati, Christian Holmes was the head of the Aviation Section of the Signal Corps, and he was recruited to do research in vertigo. Whether he was linked to Lysted by his brother-in-law, Max Fleischmann is unknown by me. However, they knew each other very well, and traveled on the trawler, Laura, throughout the Siberian Sea into the Arctic Circle in the mid 1900s - 1906 or 7. Max's eldest sister was Bettie, who married Christian Holmes. So I know that Holmes and Fleischmann were close. 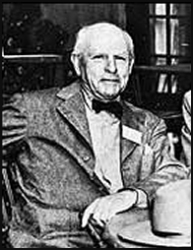 I do not know, but suspect that Fleischmann knew Lyster, and that Lyster then talked with Holmes, who was Professor of Otology and 2nd Dean of the College of Medicine after the two dominant schools merged into the Medical Department of the University of Cincinnati. I also haven't established any relationship between the Dayton-Wright company and Holmes. Max had a large estate, and he created a foundation that had a duration of 20 years, so that it would not go the way of Ford, etc. After his brother, Julius, died in a polo match in Florida, he ran the company for a while. The company was bought by Standard Brands, or it became Standard Brands. One of the Fleischmanns, Rasoul, was important in the development of The New Yorker Magazine. Max Fleischmann's father, Charles and his uncle brought yeast from Hungary - Fleischmann's Yeast, Fleishmann's margarine, Fleischmann's Gin. Max C. Fleischmann This page offers a brief summary of his varied career and includes a photo of him as hunter in Africa. You can access the page by clicking on the title above. I heartily recommend that you click on the link, "HOME", at the bottom of the page and visit the homepage of this unique resource.